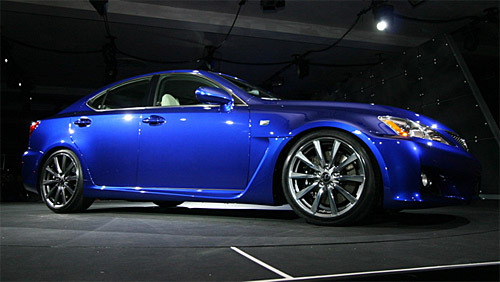 Lexus IS-F: 415hp = Disappointment? While attending the Orange County Taste of Lexus, a travelling showcase of Lexus autos, an Autospies member questioned a Lexus representative on the IS-F, who revealed the super-IS will be packing 415hp, a single horse more than the BMW M3. It’s quite possible that the representative was incorrect, though the number does fall inline with Motor Trend’s projection of between 400-425hp. Honestly though, and this is the real question: What difference does it really make? Being disappointed with 415hp seems to suggest a disconnect between fantasy and reality. There would be few, if any, situations where this wouldn’t be enough power, and they all involve some type of racing. It’s doubtful that many potential owners will ever hit this car’s limits, so why the preoccupation? Bragging rights?